Gail Locklear's commitment to providing the finest in interior design has inspired a creative new approach...Home Designs by Gail. This innovative concept starts with you and extends throughout the architecture and design of your home focusing on those all too often overlooked details. 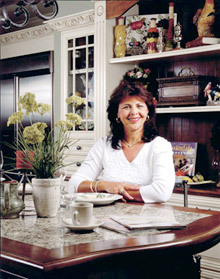 "Home Designs by Gail" enables us to translate the unique visions and desires that you possess into an enjoyable and satisfying experience, saving you from costly mistakes. It is a system designed to take the worries out of home building while saving you time and money. Please call us for a consultation to discuss our revolutionary new process in interior and exterior design.